E.L. Boone (1883-1952) was born in Joplin, MO and studied at the Art Institute of Chicago. He moved to El Paso in 1925 where he opened a studio at the Electric Company building. 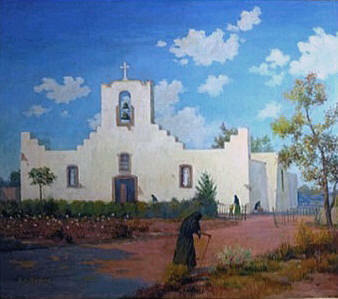 Before moving to El Paso, Boone briefly painted with Charles M. Russell. 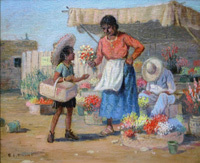 He is best known for his Southwest Landscapes and Mexican Folk Studies of Mexico, West Texas, New Mexico and Arizona. Boone was a frequent exhibitor and was a member of the Far Southwest Artist Association & the El Paso Artists Asso.